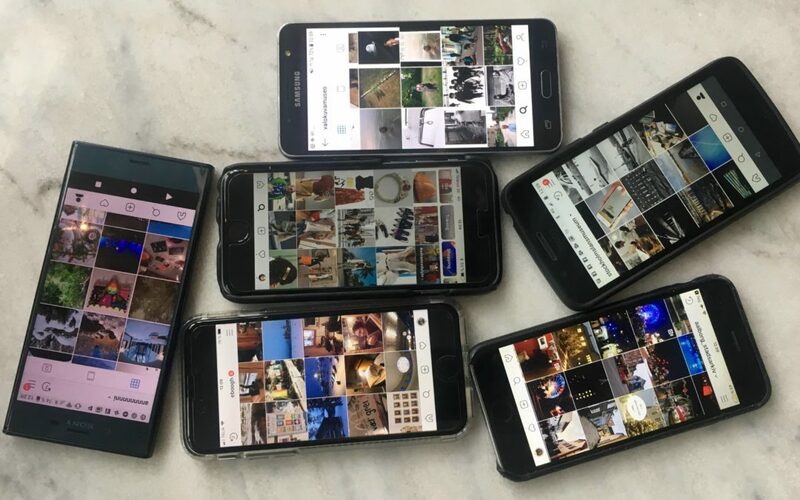 In this blogpost the Collecting Social Photo (CoSoPho) project team will share reflections about the development of social media and the possible consequences for collecting for archives and museums. During the recent years we have noticed a growing focus on memory and history features. Have social media become the new archives? What is the relevance of the memory institutions, if the photographers themselves can select, save, tag, and share the images online? – and even receive regular reminders of their past. Does the development make it complex to explain the raison d’être of Collecting Social Digital Photography (and personal digital photography in general) for museums and archives ? As years go by social media have focused increasingly on memory, history, and personal archives and the platforms use terms previously connected to cultural heritage and archives discourses in their approach to the users. Or you could say, the companies have added the memory perspective to their business model in order to keep the customers. Even Snapchat, which started out with an anti memory mission, allows to save pics nowadays. The development started around 2016/17, as we will show below in this blogpost. Simultaneously methods from image recognition and location geodata are utilized to create ”(hi)stories”, small videos, and albums by social media platforms to remind us about the past and to structure the numerous photos, which most of us save on smart phones and on various photo drives. We are reminded of the past on social media without even asking to be so. Facebook introduced ‘Memories’ in 2018 as a possibility to reminisce.The service is built on previous services as “on this Day” from 2015 and “Look Back” and “Thank You” videos from 2014. It all started with the introduction of the timeline in 2011 and as time goes by, you have a ”history” on Facebook. The memory features on Facebook now consists of the sections: On This Day, Friends Made On This Day, Recaps of Memories, seasonal and monthly, and Memories You May Have Missed. Facebook has established a memory team, which based on qualitative and quantitative methods has developed a Taxonomy of Memory. The themes are happy, intentional not negative, but fun, interesting in a combination of old and recent memories. Facebook considers according to the firm’s research team it as a “task” with use of technology to support reminiscence of digital memories (Konrad, 2017). One could regard it as a hint of the growing emphasis on memory that Facebook has established a memory team within the organisation. Instagram has become an archive of photos during the years. From 2017 the platform allows to save photos from your own and others feeds in a personal collection by saving your own and other pics and organizing them in folders. Instagram also offers an “on this Day” feature, as Facebook, not surprisingly as they are owned by the same company. Instagram introduced in 2017 two archival features or subsections: Story archives and posts archives, in order to help the users not to save the images on the phone as well as to hide photo from the public view. A private space or archive is created within Instagram. Instagram has also given a way to escape the 24 hours constraint stories by introducing the stories highlights section in 2017, where you do not have to count hours anymore. Snapchat, which originally signified volatility, has for long allowed to preserve snaps, to export them and to establish permanent galleries. In 2016, after 5 years, Snapchat turned from only being real-time, ephemeral, to include the past by introducing a memories section and possibilities to save the photos shared. Snapchat even has photos for ”My Eyes Only” only accessible with an extra pin code. The development was explained with – yes – the company had learnt that Snapchat was increasingly used to document major milestones in people’s lives. Google Photo curates (hi)stories from the creator’s private archives and makes them easily searchable and remind the users of their existence with popup messages. They structure your photos in thematic folders based on image recognition and on places based on geo data quite successfully. Posts and photos on social media become history simply because of time, as social media platforms like Facebook, Instagram, and Flickr have existed for several years. Van House (2011,130) has pointed out that personal photography today is primarily pursued for four overlapping reasons: 1. Memory, narrative, and identity, 2. creating and maintaining relationships, 3. self-representation, and 4. self-expression. Focus has since by many scholars been on the first three communicative aspects of the images, as it is agreed upon that photography today can be regarded as primarily a form of communication, a new kind of vernacular, where the visual resembles words and language. This observation is confirmed by Sarvas and Frohlich, who suggest that “communication has surpassed memory as the primary function of photography” ( 2011, 133). However, there is still an ongoing discussion whether the social digital photography can be regarded as break or a continuity regarding the relation to memory and history, as Miller (2017, 8) points out referring to Keightley and Pickering (2014), who has looked at practices of remembering in analogue and (social) digital photography and identified profound similarities. Other researchers have analysed the social media platforms in terms of archives, which also offer insights useful for the process of collecting the photographs but also to place the sense of history. Geismar has in ’Instant Archives’ reflected on Instagram as a massive, user-generated archive in itself, structured by corporation (Geismar, 2017, 332). Gehl (2009) has analysed YouTube; identifying roles and relations between the media platform, the user, and the content in archival terms. Also Bartoletti (2011) has analysed how memory in a continuum from private/public and individual/collective/cultural have been supported and managed on e.g. Flickr and YouTube and discussed user practices connected to the platforms. The memory aspect seems, as years go by, to obtain a growing focus in the social media practices. Social media form new means used to create and share memories, but are online platforms and digital devices the new archives that the users should rely on? Regarded pragmatically from archives’ and museums’ point of view, the creators of the social digital photography could experience that their need of archives and heritage are covered by the social media platforms’ archival and memory features. A tendency, which could complicate collecting and challenge the role of archives and museums. In a survey conducted by CoSoPho about social photo practices in Minnen.se https://minnen.se/tema/socialadigitalabilder, these issues are touched upon. Preliminary conclusions have revealed that the creators are positive towards the idea of offering their photos to archives and museums, when asked. Arguments as the institutions work in long time span (for eternity and long-term solutions) and are more sustainable than commercial partners thus have to be enforced. The latest delete of photos by Flickr (if you do not go PRO) and the recent news about Myspace deletings of all data older than 2016 are serious examples, which have called for reactions as “Why Facebook will plunge us into a Digital Dark Age” (Shepherd, 2019 and Hern, 2019) referring to the instability of entrusting memories and history to private companies, which are under no obligation to keep them forever. The case studies in CoSoPho have at the same time shown that it takes a lot of outreach to collect social digital photography. Simultaneously the process has to be easy and quick, or people will lose their incitement, which provides another reason, why CoSoPho is developing a web app prototype for collecting, as we discussed in this blogpost recently. Bartoletti, R. (2011). Memory and Social Media: New Forms of Remembering and Forgetting. In Pirani, M. (ed.) Learning from Memory: Body, Memory and Technology in a Globalizing World, Cambridge, 82-112. Gehl, R. (2009). YouTube as archive – Who will curate this digital Wunderkammer? in International Journal of Cultural Studies, Volume: 12, Issue: 1, 43-60. Geismar, H. (2017). Instant Archives? In L. Hjorth, H. Horst, A. Galloway, & G. Bell (eds.). The Routledge Companion to Digital Ethnography, New York: Routledge, Taylor & Francis Group, 331-343. Keightley, E. and Pickering, M. 2014. Technologies of Memory: Practices of Remembering in Analogue and Digital Photography. In New Media and Society, 16, 576 – 593. Sarvas, R. and Frohlich, D. 2011. From Snapshots to Social Media – The Changing Picture of Domestic Photography. London: Springer-Verlag. Shepherd, A. (2019) Why Facebook will plunge us into a Digital Dark Age, ITPRO March 13. Van House, Nancy (2011). Personal photography, digital technologies, and the uses of the visual. In: Visual Studies, 25 (1), 125-134.